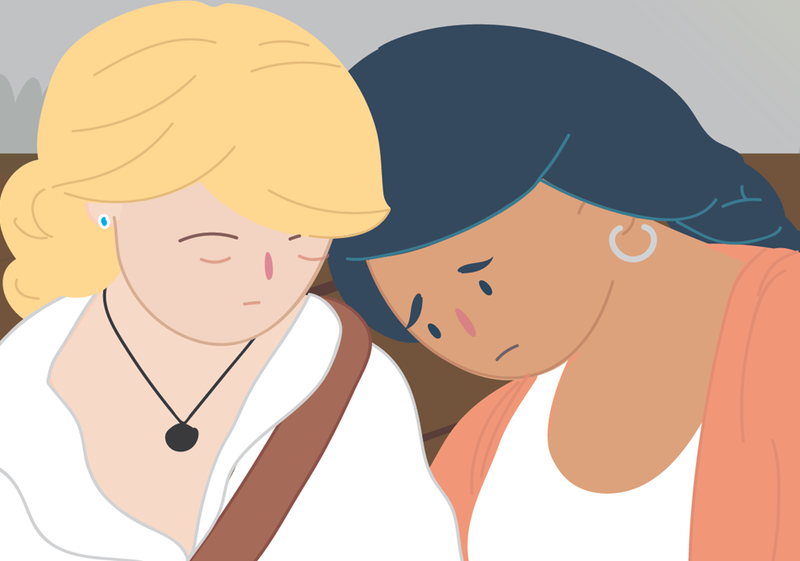 It can be hard to see a friend struggle with mental illness, and even harder to know how to help. Don’t worry, neither of you are alone. The more you understand about mental illness, the easier it might be to help. Fear of being judged or treated differently can stop a lot of people from talking about it – even with a friend they trust. Simply wanting to be there for your friend makes you a pretty great friend! And with some key tips you'll be ready to help where you can. Don't be afraid to have 'the conversation' - Choose a quiet place and a time where you're both relaxed. Try and ask, "Is there anything you wanted to talk about? You haven't really seemed yourself lately." Be ready to listen and respond - If your friend wants to talk about things, show that you are listening and that you care (even if you're not sure how to help just yet). If they don't want to talk about it - That's ok. Be patient and respectful of this. Let them know that you are there for them when they feel comfortable to talk about it. Remember the power of 'just being there' for someone - It's tempting to want to find solutions and fix things for your friends. But if your friend isn't ready for help, just knowing that you are there is a powerful thing. If they tell you they're NOT feeling ok - Encourage them to reach out for help. Offer to get help together if they are struggling to open up. Try talking with a parent, teacher, or Kids Helpline. Be sure to take their feelings seriously - If they talk about suicide or feeling hopeless, it's important to get help by talking with an adult you trust or a counsellor. Helping a friend can be an emotional time. It's important to make sure you're ok too. By taking care of yourself, you're better able to take care of your friends. It can feel stressful wanting to help your friend but not knowing how. Remember, you're not alone. We're here to help. If someone you care about is struggling with a mental health condition and you’re not sure how to help out – we’re here. Kids Helpline is open 24/7! You can call us for free, start a WebChat or send us an email.